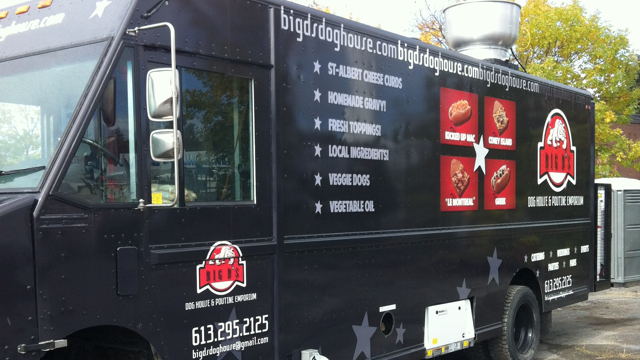 Serving up Kanata and Stittsville the best gourmet hot dogs and poutine. Fresh and locally bought, home made beef gravy made from srcatch every day, veggie dogs and gluten free veggie gravy, fries cooked in vegetable oil. Sorry, we don't know when Big D's Dog House & Poutine Emporium will be open next. We last saw them on March 29, 2019 at Ottawa U Poutine Fest. Check back soon — as soon as they post their schedule it will show up on this page. Do you own Big D's Dog House & Poutine Emporium? Sign in to post your schedule.